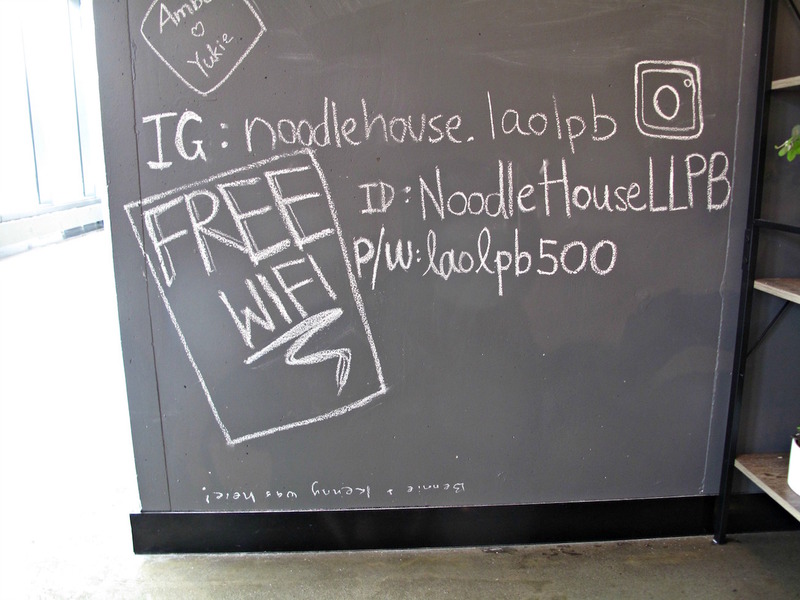 Noodle House by Lao-Luangprabang has a chic cafe-style feel about it – polished concrete floor and all. 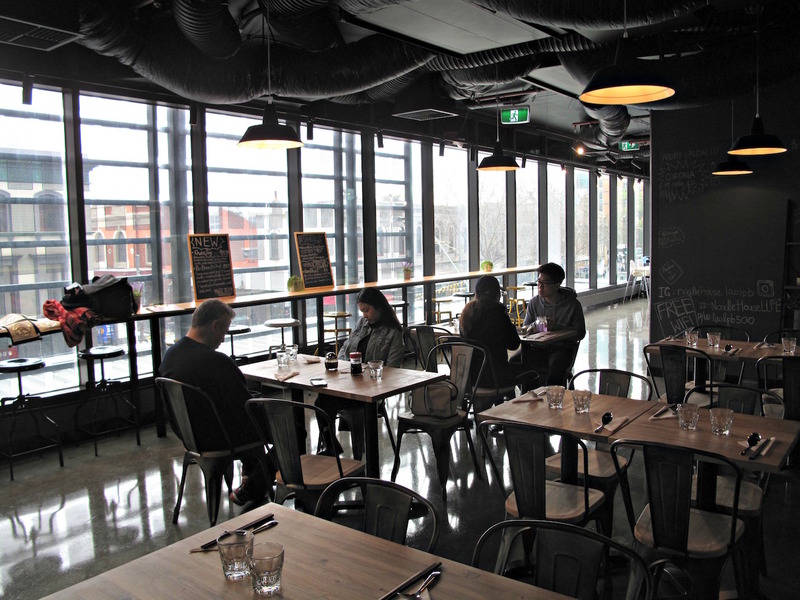 But in one significant way it is truly old-school Melbourne CBD. You see, it is hidden away. 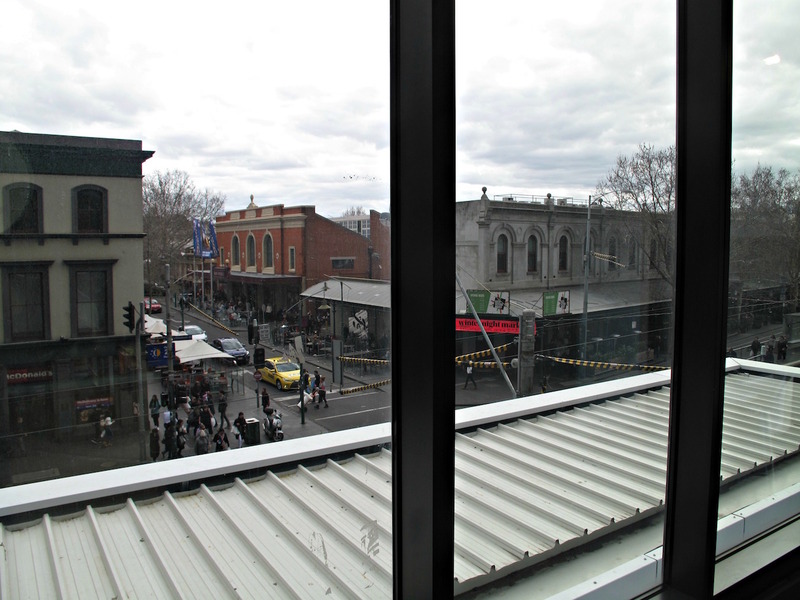 It’s on the first floor of a newish building diagonally oppositite the food hall at Victoria Market. That’s perhaps not very good news for management here, in that there is no casual off-the-street trade. But maybe in the long haul, it could be for them a very good thing. 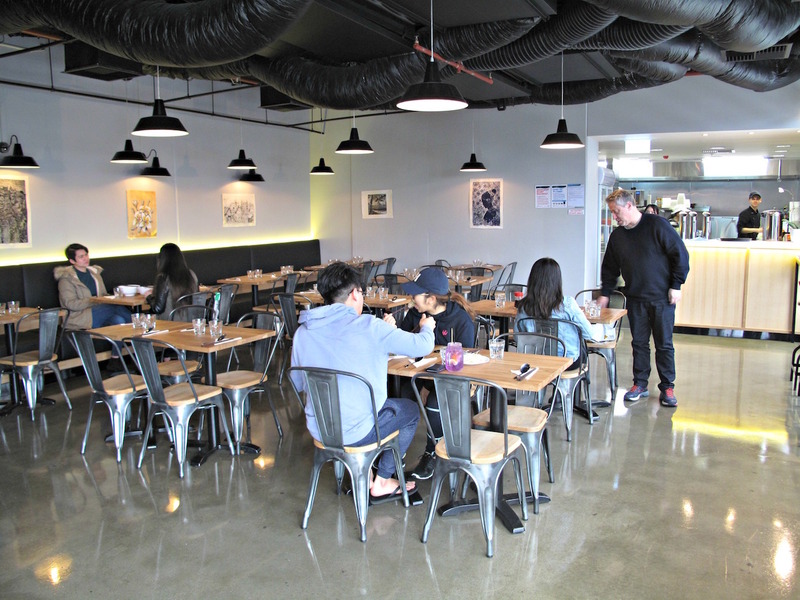 The crisp, elegant setting sets Noodle House by Lao-Luangprabang apart from its many competitors on Elizabeth Street, where almost all the nearby eateries are mad busy at lunchtimes – and that includes the mediocrities as much as the good places. By contrast, eating at Noodle House by Lao-Luangprabang has far more of a restaurant feel about it. 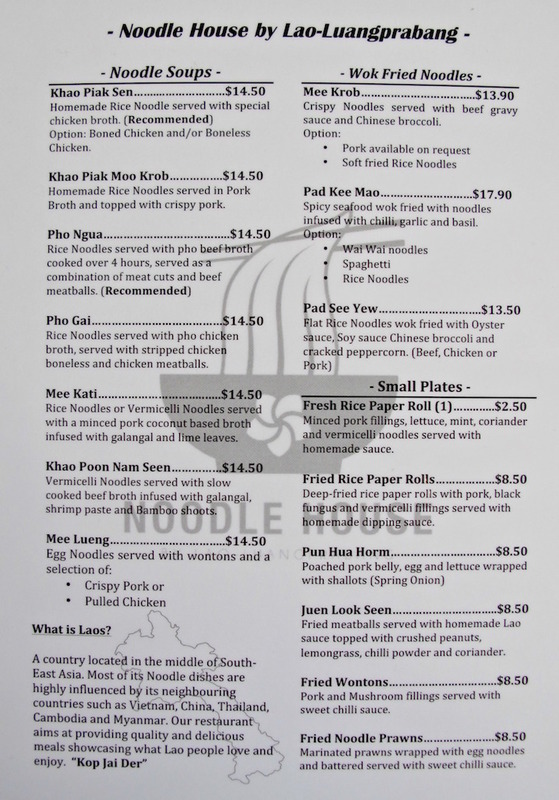 The simple one-page menu (see below) details a line-up of smaller dishes and larger ones of the soup-noodle and wok-fried varieties. Over two visits, CTS eats very well – with one exception detailed below. 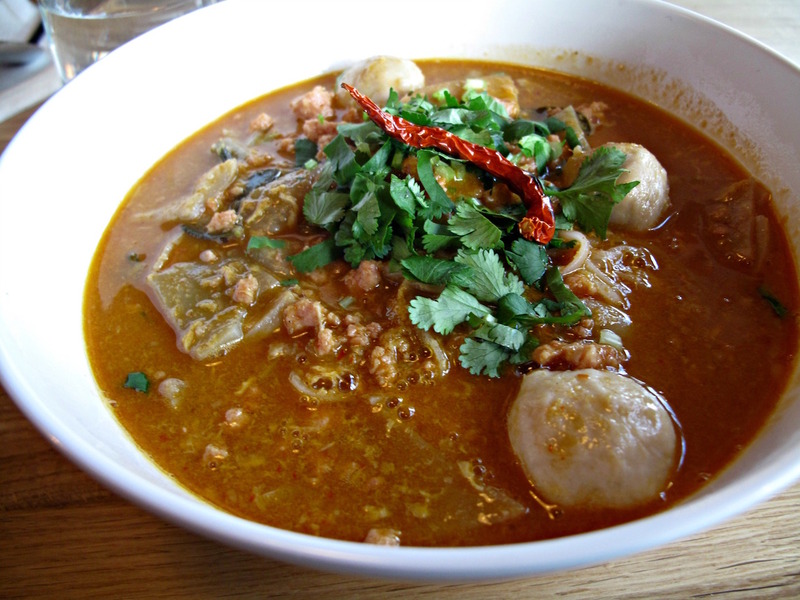 Mee kati ($14.50) is a fine and hearty dish described as “vermicelli noodles served with a minced pork coconut-based broth infused with galangal and lime leaves”. It tastes as tangy as it sounds. 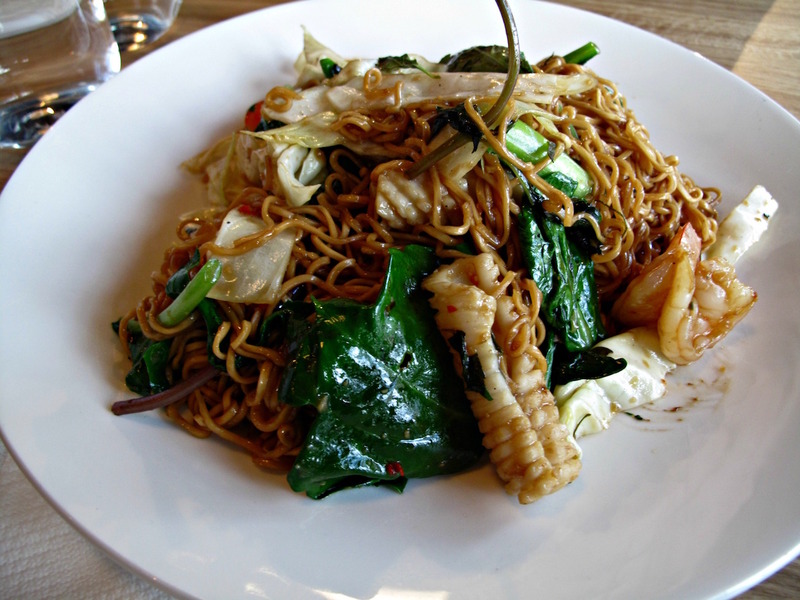 Pad kee mao ($17.90) is “spicy seafood wok fried with noodles infused with chilli garlic and basil”. It’s also very, very ordinary. We don’t expect top-shelf seafood at the cheaper places we eat, but this is medicore even by those standards. The noodles are drab and the whole thing is really dull. One winner, one loser – but still, I’d seen enough to want to retrurn, and that I did, this time with Nat and Yaya for a post-kung fu Saturday lunch. Fried wontons ($8.50) come in a shape never before seen by me. It almost seems like they’re overcooked, but maybe that’s just the style. The fillings are very good. … Yaya’s khao piak sen ($14.50, with boned chicken) is one of degrees only, but they both like their lunches. Yaya is Thai, so knows her way around this kind of food, even if not that from Laos in particular. She tells me her dish rates 9.5 out of 10. And, no, she’s not joking. 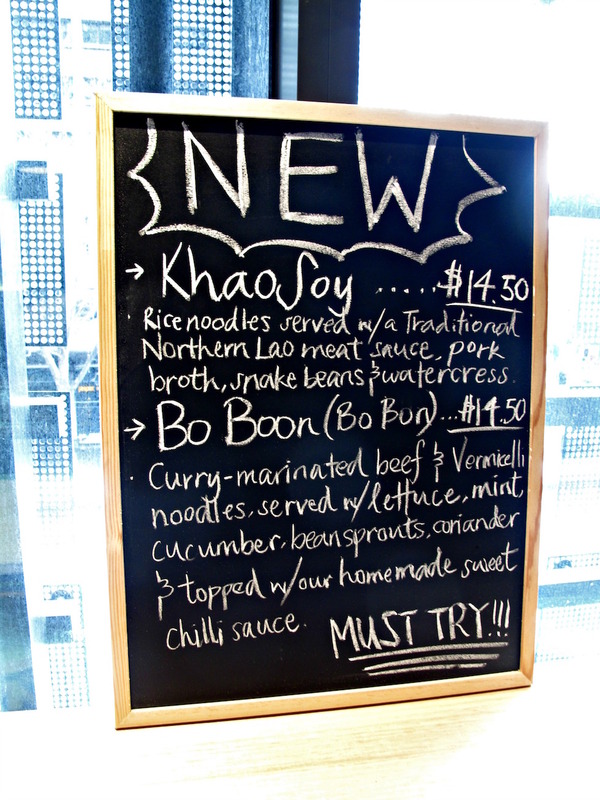 From the specials board comes my khao soy ($14.50) – “rice noodles served with a traditional northern Lao meat sauce, pork broth, snake beans and watercress. 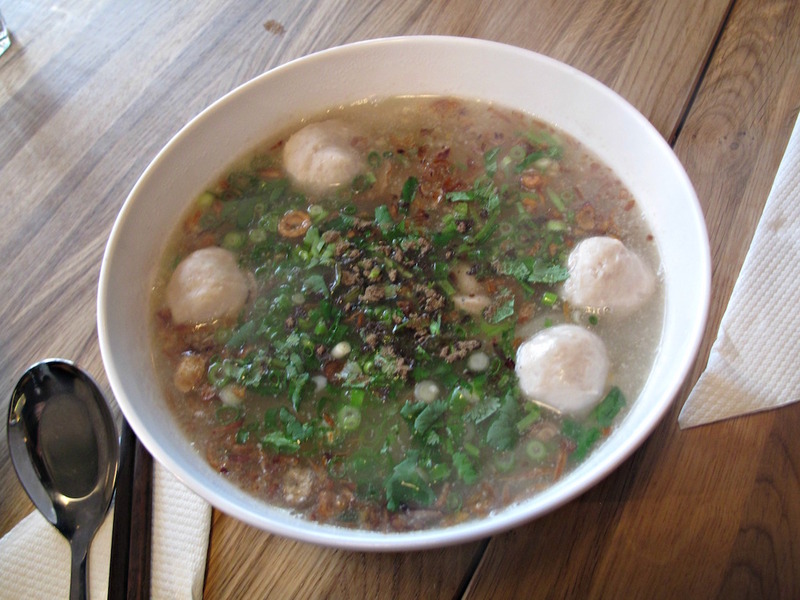 If I was the kind of blogger and journalist who indulged in silly click-bait or posted laughably non-definitive definitive Top 10s or Top 50s or whatever, I’d blithely opine that this is one of the very top handful of noodle dishes in Melbourne. But I’m not, so all I can say is that it may well be so. As well as the pork mince, there’s sliced. The “watercress” is most likely, says Nat (who knows way more than I about such things), a form of Asian spinach. Whatever the case, it’s fabulous – and also a bit like coriander, in looks, not flavour. Best of all there’s heaps of it – an integral part of the dish rather than a mere garnish. There’s a heap of beans, too. This is a non-spicy dish – the red tinge comes from tomato, not chilli. It’s awesome in every way. Westies hitting Vic Market are sincerely advised to check out Noodle House by Lao-Luangprabang for hassle-free and extremely cheap eating of a very fine kind. The watercress would also be called Morning Glory by the look of it. Not far away from there is another well hidden place called GJ’s Grill which does fairly authentic Filipino food. Definitely worth a visit!